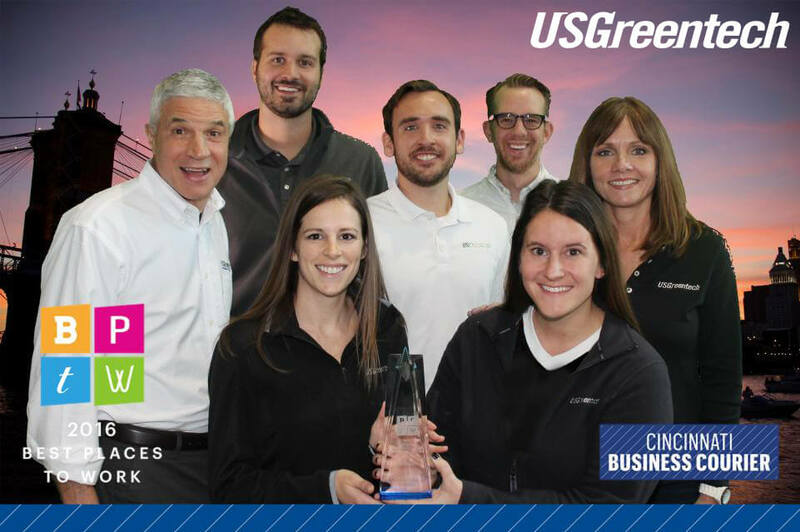 USGreentech received the great honor of being named a Business Courier’s 2016 Best Places to Work! This year’s awards included 63 finalists, with 15 winners awarded in five size categories (Micro to Grand) from the greater Cincinnati area. The winners were determined by those who know the companies best- their employees. 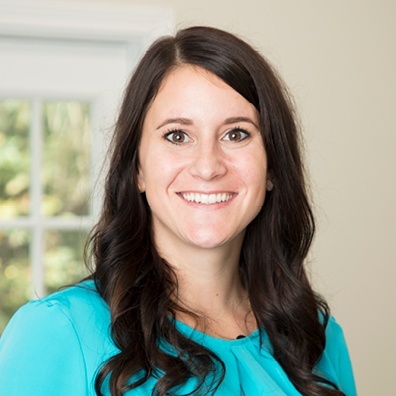 Business Courier’s Best Places to Work conducts an employee satisfaction survey, with the highest scores determining the winners in each size category. Employee surveys were ranked by an independent third party, Quantum Workplace. The finalists were honored and awards were announced at Xavier University’s Cintas Center. The annual “pep-rally” was attended by hundreds of employees, including USGreentech, where attendees dressed in costumes or “team” colors and cheered on their employers during the evening’s event. It was no surprise to USGreentech staff that the company was given the award for Best Places To Work in the category of 10-24 employees. USGreentech is a company that values it’s employees and promotes a culture of giving back. It promotes and values transparency- employees are urged to share feedback and use their talents in any way they can to uplift the company and empower each other. With company perks like the Jump Starter Fund, which contributes money to employees with the purpose of helping them reach their personal goals, and a paid day off every quarter so employees can spend a day volunteering in their community; USGreentech’s culture is the greatest contribution to their top spot as a "Best Place to work". We also have a service day where all team members get together to contribute to a cause, like cleaning up a park! Next to infill (obviously) culture is everything to us at USGreentech. We care about it so much, we made a video. Here are some highlights from the people that work here that define culture means at USGreentech. "USGreentechis a fantastic place to work because it is so open to everyone's ideas, aspirations and goals, because we can have fun during the work day and these people make it so I can't wait to come into work"
"Part of our annual plan is identifying projects across the country that maybe we can contribute to, whether it's our product, whether it's our service, or just a different perspective. Giving back is a part of who we are as people." How does your company define culture? Let's keep the conversation going. We're open to new ideas and would love to chat. Feel free to send us an email!